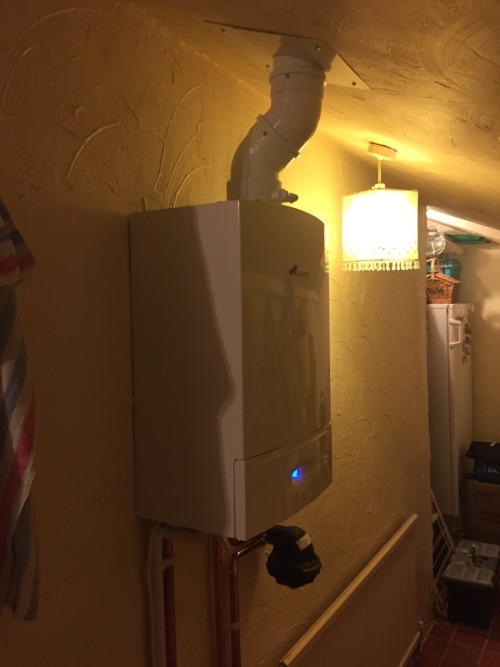 A new Worcester Bosch 27Ri Compact installation in a Utility room with a vertical flue. Two 45 degree elbows required for the correct flue clearance above the roof. We also installed a Worcester Bosch filter for boiler protection and an extra one year guarantee for the boiler. The controls on this system were upgraded to Honeywell Evohome for mobile control to suit the changing schedules of the customer.